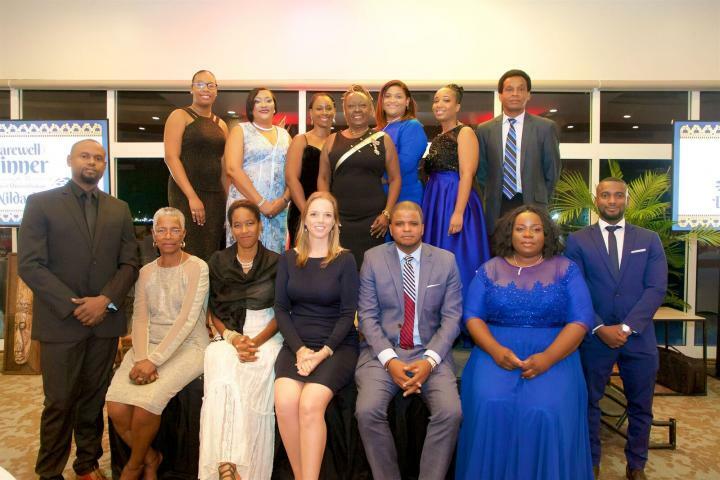 Philipsburg; The Bureau Ombudsman honored former Ombudsman Dr. Nilda Arduin in a farewell dinner held at the Simpson Bay Resort & Marina Ball room on Saturday 19 January, 2019. 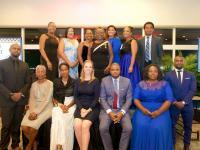 The event was attended by various dignitaries, colleagues, former and present staff of the Bureau, family and friends. Words of gratitude, admiration and thanks to Dr. Arduin were given via video tribute from colleagues in the Caribbean Ombudsman Association (CAROA) and International Ombudsman Institute (IOI), other High Councils of State, close friends and staff of the Bureau. In addition addresses were given by the Honorable Prime Minister Leona Marlin-Romeo, Honorable President of Parliament Sarah Wescot-Williams and His Excellency Governor Eugene Holiday. At the ending of the Governor’s speech Dr. Arduin was called on stage whereby she was decorated as Officer in the Order of Orange-Nassau. 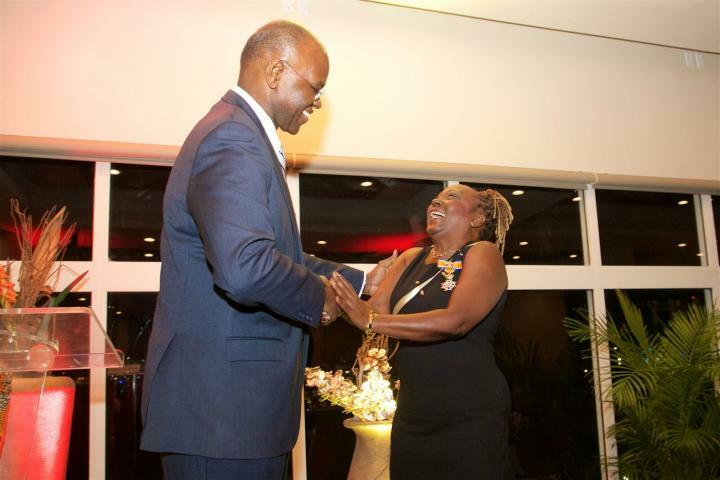 The former Ombudsman was recognized for her important contribution to the Ombudsmanship locally and internationally as Ombudswoman of Sint Maarten, President of CAROA, and as IOI board member in her capacity as regional director of the Latin American and Caribbean region. Dr. Arduin herself took to the microphone after the presentation to share her own words of gratitude and appreciation. 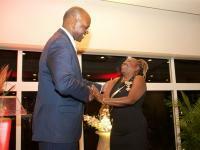 During her speech Dr. Arduin expressed her gratitude by calling on every former and present staff member, who were in attendance, to personally thank them for their contribution to the Bureau. The evening ended with dinner and live entertainment by Essynce and Connis Vanterpool. A DJ was also present for those who wanted to dance the night away.